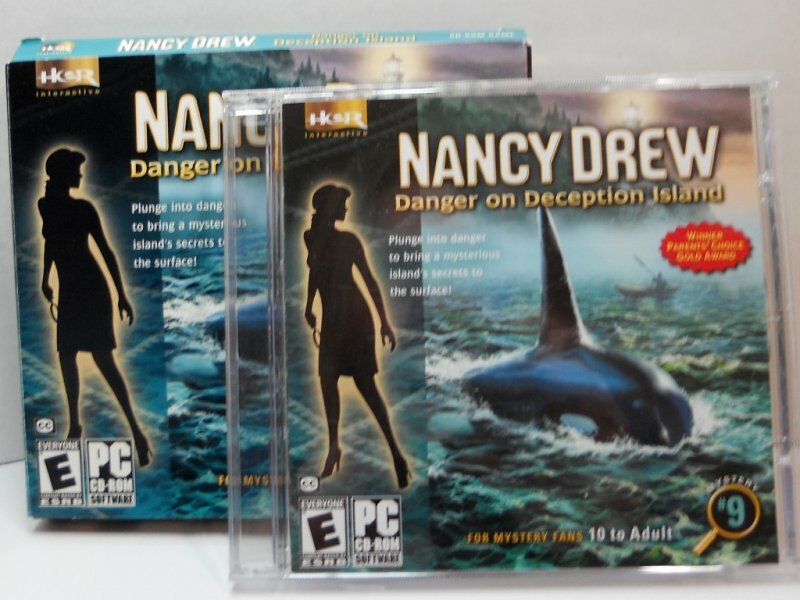 Nancy Drew Mystery #9 Danger on Deception Island takes place in the Pacific Northwest while Nancy is on vacation. A nasty stream of accidents and a orphaned Ocra are connected to the mystery. PC Her Interactive software. 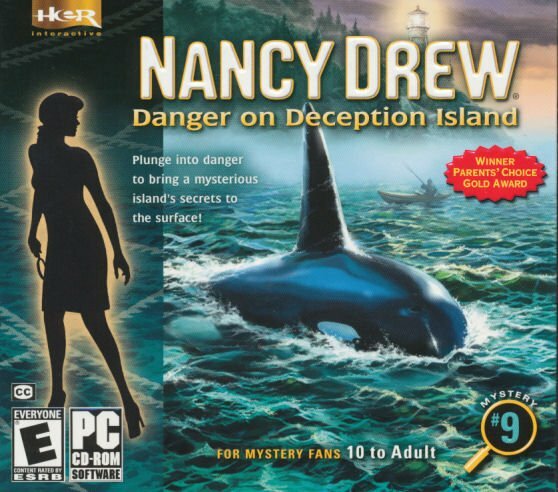 A much anticipated vacation to a remote island in the Pacific Northwest abruptly runs aground when you, as Nancy Drew, discover that an unseen assailant has vandalized the whale-watching boat owned by your host, Katie Firestone. But that's just the first in a string of nasty "accidents." 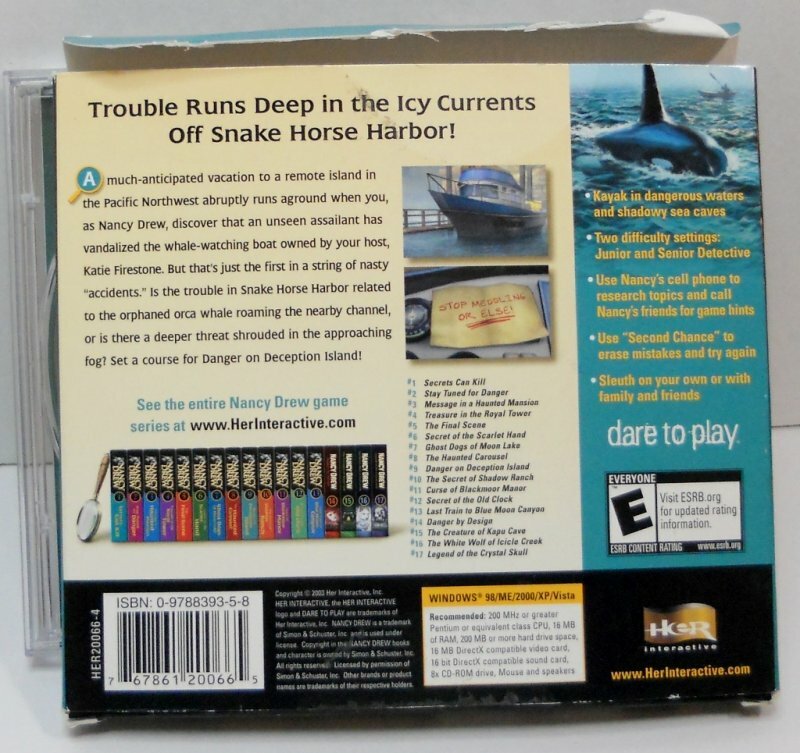 Is the trouble in Snake Horse Harbor related to the orphaned orca whale roaming the nearby channel, or is there a deeper threat shrouded in the approaching fog.